When we hear about cuts to funding for fertility treatment, it’s often presented as yet another Clinical Commissioning Group deciding to reduce what they offer to couples with fertility problems. We hear about the statistics for the tiny number of areas in England where IVF is offered in the way that NICE considers both clinically and cost effective. We hear that in certain parts of the country, commissioners are rationing IVF by making random decisions about who is eligible which have nothing to do with how likely the treatment is to work. We hear about the postcode lottery and how unfair this is within a health service that is meant to be national. What we don’t hear so much about is what any of this actually means to the real people who have to live with the consequences of these cuts to funding – and that’s why this article from Adam Kay in The Times is so important. For anyone who doesn’t know, Adam Kay is the author of ‘This Is Going to Hurt: Secret Diaries of a Junior Doctor’ and worked for a number of years as an obstetrician and gynaecologist. 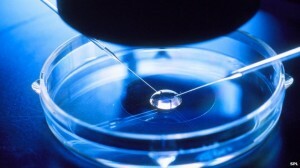 Adam Kay’s article lays bear the reality of fertility funding cuts as experienced by the patients he saw – the woman who attempted suicide after learning she wasn’t eligible for IVF when she would have been if she lived just five miles away, the grief couples experience when they learn that they won’t be able to access any treatment for their medical condition. Adam Kay talks about this from the perspective of a professional delivering the news, and that makes this so compelling. It’s such an important point of view and really helps to explain why those who dismiss fertility treatment as a “lifestyle choice” have got it so very wrong. Thanks to Adam Kay for speaking out to support fertility patients across the UK – and let’s hope for more professionals talking honestly about the impact of funding cuts in their clinics, and what it means to them and to their patients. This really can make so much difference. It’s easy to dismiss statistics about cuts to fertility funding and to ignore concerns about a postcode lottery. It’s not so easy to dismiss the way this affects the lives of real people. This entry was posted in IVF and tagged 'This Is Going to Hurt: Secret Diaries of a Junior Doctor', Adam Kay, author, CCGs and fertility funding, cuts to IVF funding, fertility fairness, fertility funding, infertility, IVF, postcode lottery by fertilitymatters. Bookmark the permalink.